Thank you so much for sharing! My husband was diagnosed 5 yrs ago at age 59. The only thing I truly find that has slowed the progress is exercise and he is a runner. It would make life easier if he would acknowledge he has issues but he will not. I will pray for your and your family. Frontotemporal Dementia. What is that? I wake up every day an tell my self I don’t have any of it. I am 77 yrs old an I still walk with my dog, I cook an clean an do laundry. I retired from 47 years of Real Estate sales. Hello Janice. We have reached out to you via email. Thank you for your comment. As a retired attorney and magistrate judge whose beloved wife has Alzheimer's, I applaud my Proffessor Olgetree for his nobility, grace, honesty, generosity and kindness in the face of a disease that is staring us all in the face. I pray that his activitism will help ignite others. Since my wife's diagnosis in 2013, we have collaborated on finishing and publishing a book she began years before her diagnosis. This labor of love is among the high points of our 43 year marriage. Professor Olgetree's actions have encourage me to begin to do more in the fight! Thank you! Charles was a classmate of mine at Stanford, and I wish him well in his battle against a most difficult for. If anyone could deal with a disease like this, it is someone with Charles' mental attitude and positive demeanor. God Bless you, Charles! My paternal grandfather died with classic Alzhiemer's symptoms; my maternal grandfather hung himself in his basement for no known reason, although in retrospect he had been slipping into a long depression; my Mother died with all the usual symptoms. I have two of the bad APOE genes. Now at 74, I show a lot of memory related indicators. I'm signed up as a subject in a new drug test. My doctors won't diagnose, but they make it clear what their strong suspicion is. I tell everybody what my status is. I want them to know why I can't remember their name. I'm not looking for sympathy — I just want them to understanding what's going on — I'm not impolite, just a bit damaged. I play trumpet, in public — have since age 10 — my jazz performance is the best it has ever been — remove the mental fears and constraints and the free improvisation pours out of the bell. My favorite gig is playing in the pit for the community or university theatre productions of a Broadway Show — I currently do several a year — I estimate around 100 in my life-time. A few weeks ago, I played the final show of a six day run of My Fair Lady on a Wednesday night — rehearsals for Music Man started on Thursday, the next day. I don't like Alzheimer's and I'm really worried about what showed up in a recent gene report on my 40 year old son. "That's life. That's what people say." I say, "Get along with it, cause it ain't goin' away." 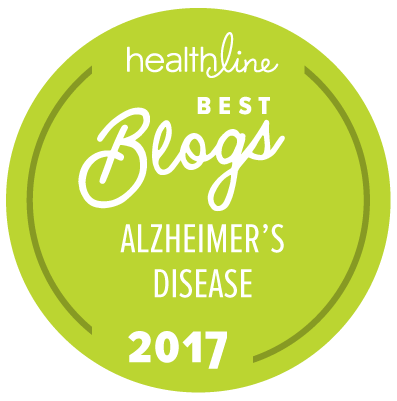 I was diagnosed with Early Onset Alzheimer’s 10 years ago. I was in an Ely Lilly trial drug Solanezumab, and was doing well, and getting worse. In Nov. 2016 Lilly stoped the trial. My last infusion was Nov 2016. I am slowly getting worse. Now I am told the FDA stopped the trial $$$$$$. This trial admitted patients with all stages of Alzheimer’s.The more advanced patients dropped out quickly, but those of us in Early Stages did well, I was one of the patients doing well on the trial drug. It now seems much harder to get into new trials, the trials are much more selective. More information needs to get to the population ( via TV, etc ) to make trials known. Please refer to my previous comment concerning the Lilly trial drug; I was NOT getting worse on the drug. Much thanks to you such a great amount for sharing! My better half was analyzed 5 yrs prior at age 59. The main thing I really find that has moderated the advance is exercise and he is a sprinter. It would make life simpler on the off chance that he would recognize he has issues however he won't. I will appeal to God for your and your family.